1. 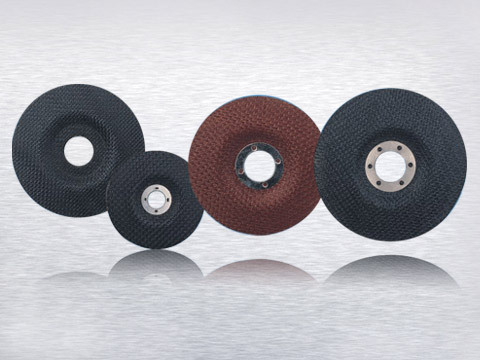 When you got the glassfiber discs or inox cutting discs, it must be checked whether the product cracks, defects or with dumb sounds, it cannot in use if “Yes”. 2. Each glassfiber disc is marked with the limited use and line speeds, it must first confirm the rotating speed of the machine before installation, do not exceed the limited speed marked on the discs. Make ensure that the machine has a good protective device, and the grinding wheel center hole must match with the center axis, or can not be used. 3. The flanges on both sides of the coated wheels must be the same sizes and shapes. Flange diameter has to meet the requirements, and both sides with grooves. 4. Keep a properly tightness when fixing glassfiber discs or inox cutting discs, the installation is completed, to start up the machine and make idling about a minute, be sure that no exceptions before use. 5. Whether in the grinding or other uses, the pressure must be uniform, the China grinding wheel in the adjustment of rotation, isn’t allowed to violently collide with the workpiece, slowly feed the wheel. When cutting the workpiece with large diameter, to reduce the contact surface between grinding wheel and workpiece, cutting the smallest corner to prevent the knife burning and the card saw, if this is happened, it is necessary to slightly grind cutting edge of the blade in order to cut smoothly. 6. Make sure the workpiece to cut on is fixed and secure, avoid to cut overlapping workpiece, and prevent the loose of workpiece breaking the China grinding wheel so that cause the accident in cutting process. 7. The power of the China grinding wheel and the workpiece contact area directly affect the grinding wheel feed rate and the cutting effect. In the case that the machine's power is small, while workpiece contact area is large, the hardness of grinding wheel to be chosen should be slightly soft, at the same time, the pressure when the knife feeding should be smaller, otherwise there will be damage to the machine or cause the failed cutting, affecting the use of grinding wheel. 8. Not grinding workpiece on the end face of the grinding wheel, so as to avoid accidents. 9. It is appropriate that the cymbal grinding wheel and the workpiece keep an angle of 30 degrees. 10. All kinds of coated wheels are marked with the use targets and safety warning signs, not use beyond the application ranges.